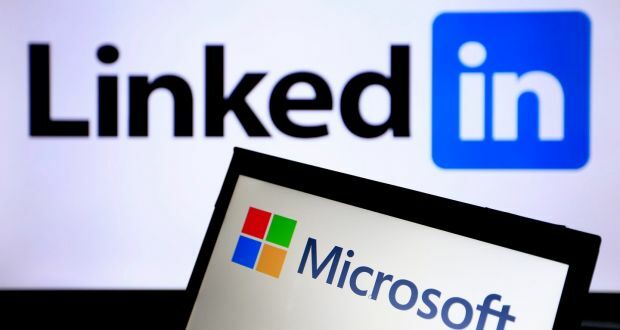 Technology giant Microsoft today said it will inherit professional networking platform LinkedIn in an all-cash transaction estimated at $26.2 billion. Microsoft said in a statement. LinkedIn will sustain its distinct brand, culture and independence, it added. The transaction is awaited to close this calendar year. “The LinkedIn team has grown a terrific business centered on connecting the world’s professionals. Together, we can accelerate the development of LinkedIn as well as Microsoft Office 365 and Dynamics as we desire to empower every person and organization on the planet,” Microsoft chief Satya Nadella said. Jeff Weiner will be left as CEO of LinkedIn, reporting to Mr. Nadella. Reid Hoffman, Chairman of the board, co-founder and controlling shareholder of LinkedIn, and Weiner together fully support this transaction, the statement said. LinkedIn initially began in the living room of co-founder Hoffman in 2002 and was officially launched on May 5 in 2003. LinkedIn has seen 19 per cent growth every year to 433 million members worldwide while quarterly member page views increased 34 per cent to over 45 billion. Over 92 million users happen to come from Asia and the Pacific region. In the first quarter of 2016, LinkedIn’s revenue rose up to 35 per cent year-on-year to reach $861 million. It had forecast it’s gross for the full year 2016 to be in the limit of $3.65-3.7 billion. Microsoft will finance the transaction primarily through the issuance of new limited liability. In addition, Microsoft also rephrases its intention to complete its existing $ 40 billion share buyback authorization by December 31, 2016, the same time period as previously committed. LinkedIn has additional 9,700 full-time employees and is headquartered in Mountain View, California. It has offices in 30 cities, including India, Beijing, Chicago, Dubai, Dublin, Hong Kong and London.